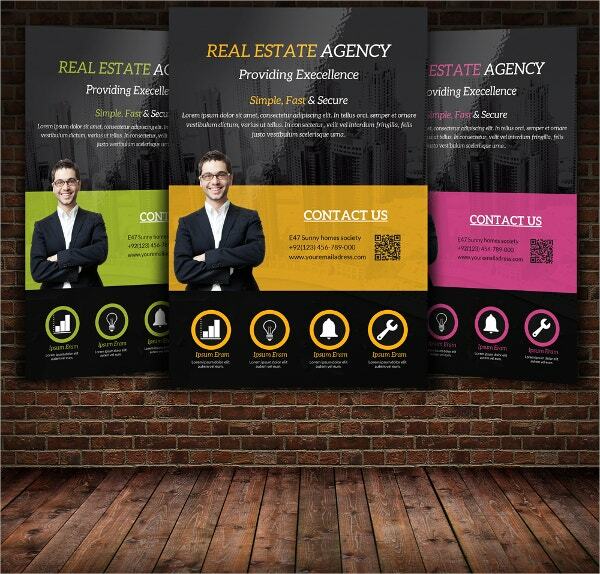 If you are planning to take your advertising campaigns to the topmost level and appeal more prospective customers in the real estate business, it is important for you to design an eccentric professional apartment brochure. 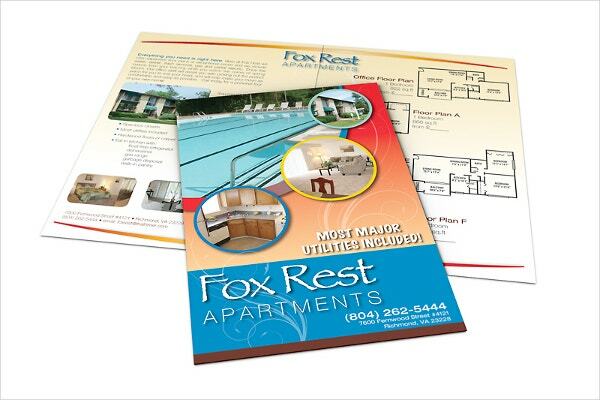 Brochures are fully customizable, quick, responsive and editable templates that can be used multiple times. They portray a company’s advantages, products and services for clients and at the same time are also significant to attract potential buyers and sellers. 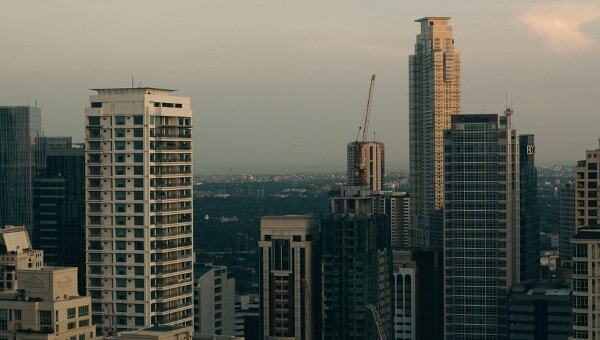 We have compiled a few of the best real estate templates below, have a look! 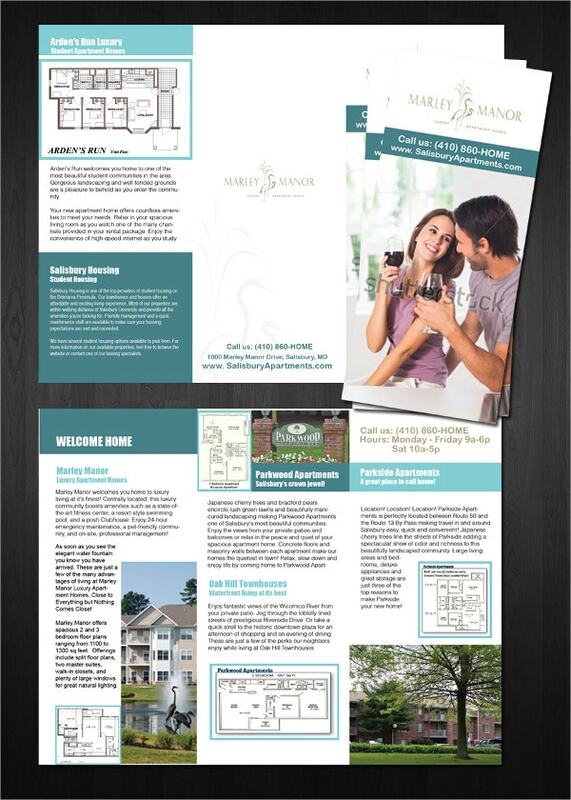 You can also see Insurance Brochure Templates. 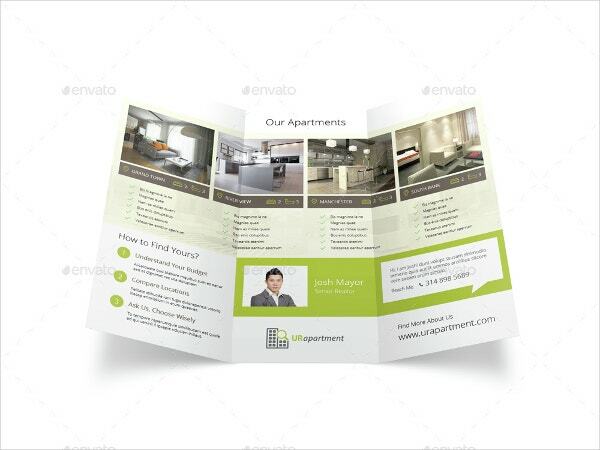 This is a well-designed, stylish and modern tri-fold Apartment Real Estate Trifold Brochure that can be used to promote your business related to real estate, sale or rent of apartment etc. It comes with 8.5×11 inch size and A4 Size page format. You can also see New Year Brochure Templates. 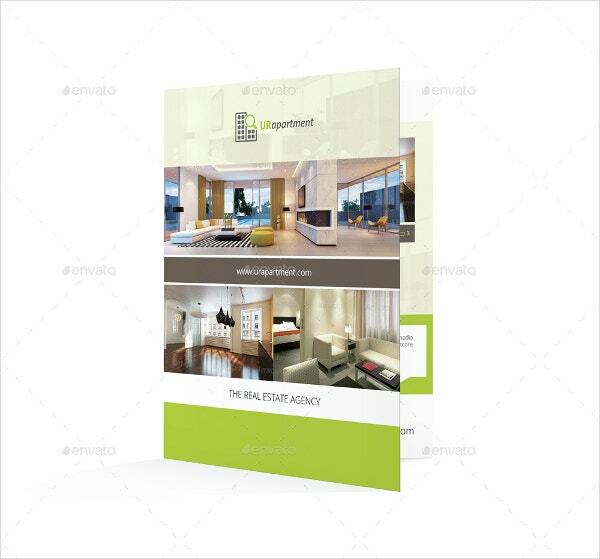 This Modern Apartment Brochure is a multi-purpose brochure created especially for marketing all kinds of companies/products/services or sale of an apartment in a stylish way. It can be easily customized and uses free fonts and pictures. You can also see Graduation Brochure Templates. 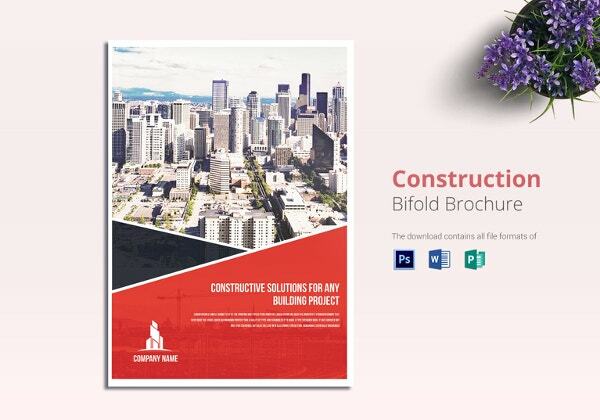 In case if you are looking for a stylish and attractive real estate brochure, then this attractive brochure covers all of it. It has got a sophisticated design and the right description on your cover page. It comes with 300 dpi resolution and CMYK color mode. You can also see Basketball Brochure Templates. 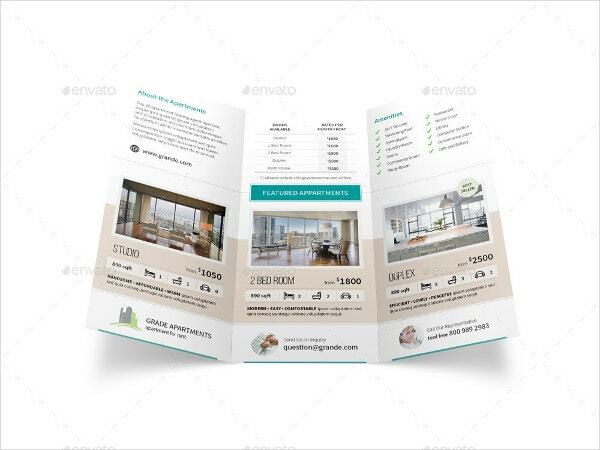 This is an another example of a clean and stylish apartment for rent brochure that comes in tr-fold Illustrator formats. It carries best of ingenuity in it. It is loaded with some indifferent features such as 300 dpi resolution, CMYK color mode and bleeds from each side. 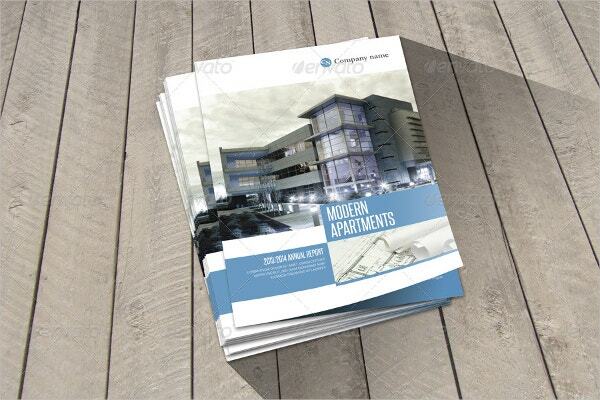 Use this clean and modern half old brochure for your real-estate business. It comes in Tabloid Size 11×17 and Illustrator formats. It has good colors and text that can be easily modified. 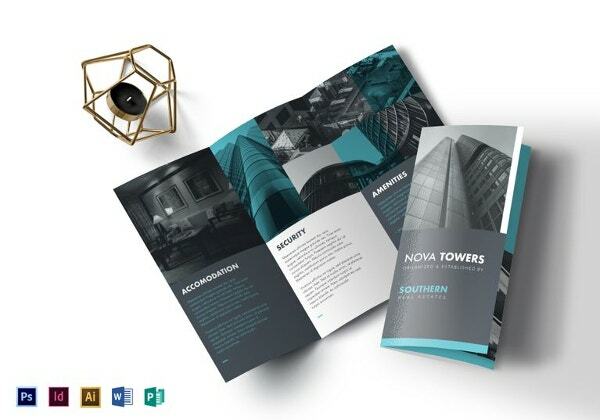 This unique and cleanly designed Luxury Apartment Agency Flyer Template is perfect for corporate, real-estate, insurance business, etc. The text, color and font can be easily adjusted as per your needs. 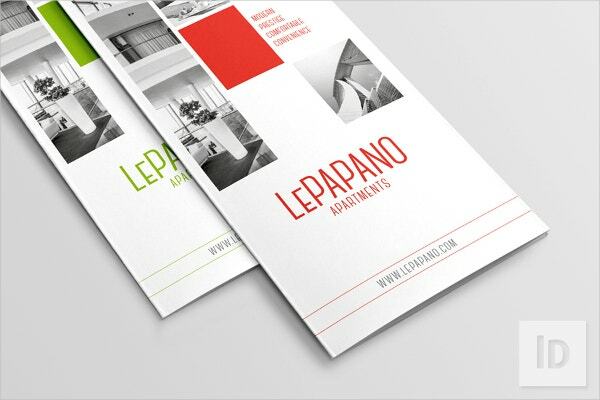 With 0.25 bleed and CMYK Color Design, this brochure is suitable for all your business projects. 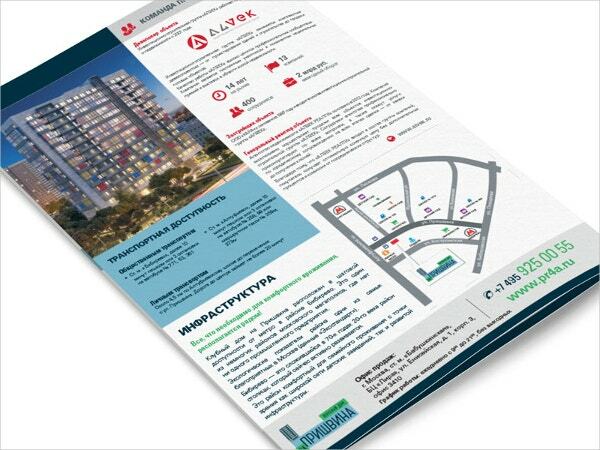 This Apartment Building Brochure can be modified as per the text and color requirement of the user. It comes with amazing layouts and text and offers free fonts. This attractive Landscape Apartment Brochure can be saved in all formats and can be created using Adobe Photoshop CS6 version. It can be used in the real estate business. It comes with very high graphics and is ready to print. This tri-fold brochure can be the most important and most impressive marketing device in the arsenal. It comes with free fonts, fully layered options along with the user guide with descriptions. 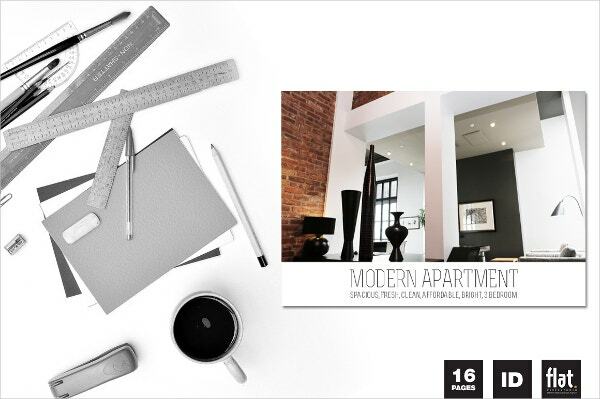 This Modern apartment template is a sharp, Indesign Brochure template designed for imaginative business. It comes with 300 dpi resolution, A4 size page, CMYK color mode and is designed in Adobe. 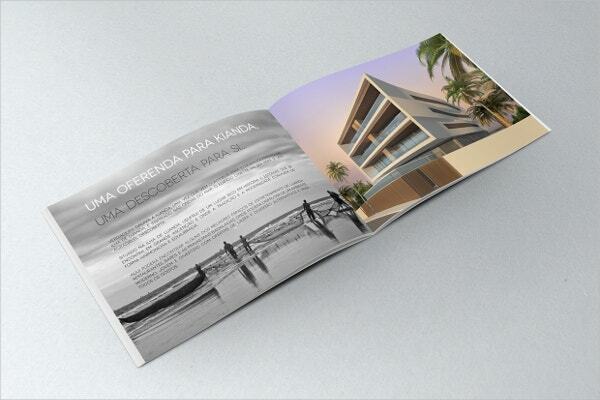 This attractive and easy to use brochure is adjustable on all facets as per clients’ requirements. This Indesign luxury holiday apartment brochure is an A4 size brochure that comes in 300 dpi resolution and CMYK color mode with bleeds from each side. It supports all file formats. 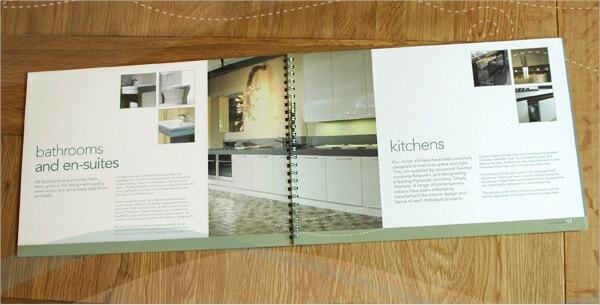 The fabulous look of the brochure gives the customers a clear visibility and is very good-looking. 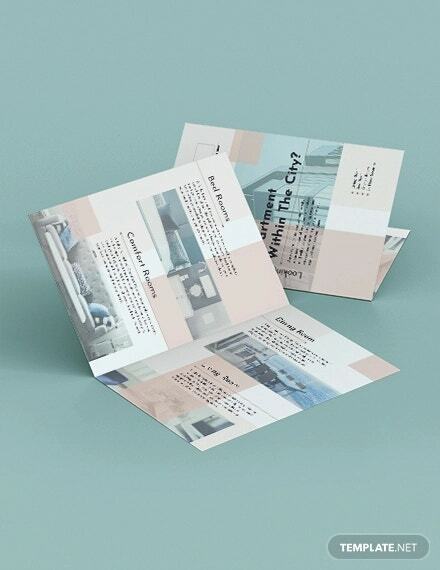 You can also see Food Brochure Templates. 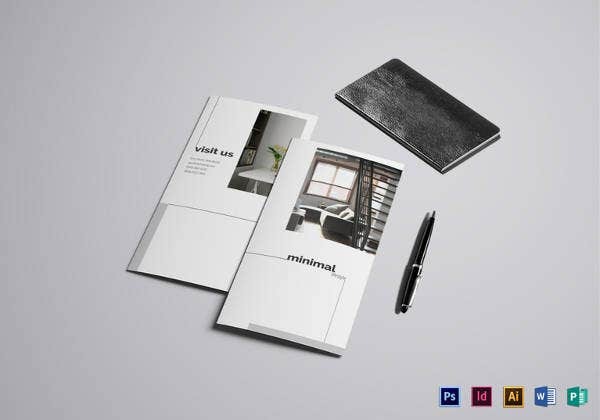 These gorgeous and professional brochure templates are beneficial for sale or rent of apartment and other projects as well. It comes with 300 dpi resolution and uses free fonts. 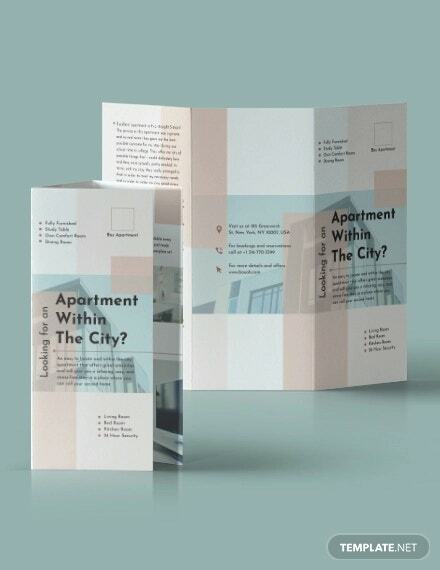 Flat Collage Apartment Tri-fold Brochure comes in five different colors and text that can be easily modified as per your choice. It is designed with Adobe InDesign CS4 in IDM and INDD editable file format. Real Estate flyers are the keystone to any wide-ranging advertising campaign to endorse, broadcast, and sell properties. These brochures contain detailed information about the company and add veracity to your advertising exertions and business. 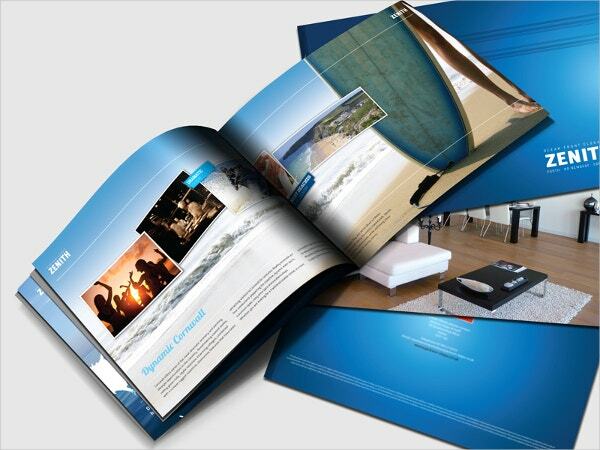 Creating your own brochure from our website will help you to display the products and services in a visual manner.